Gifts from the Pirates: "Music in the soul can be heard by the universe." When Opeie is at his weekly dance class he always loves the instrument section. Two big boxes of instruments come out for the children to pick from and Opeie really enjoys dancing around making a noise. 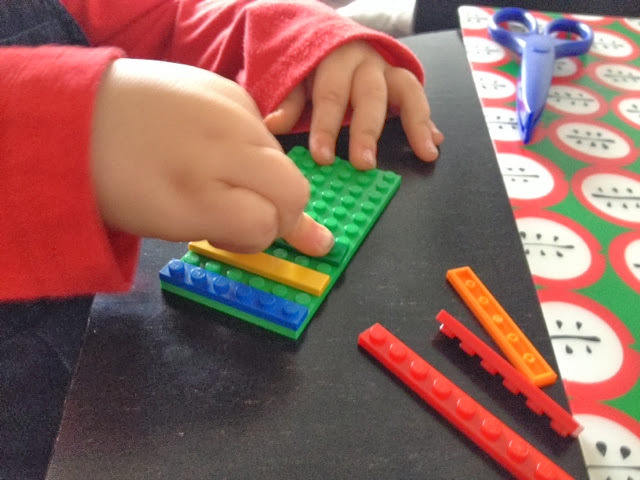 Today was one of those annoying days where I knew there were packages coming and I didn't want to miss them, so as we were pottering around the house I thought a musical craft session was in order. 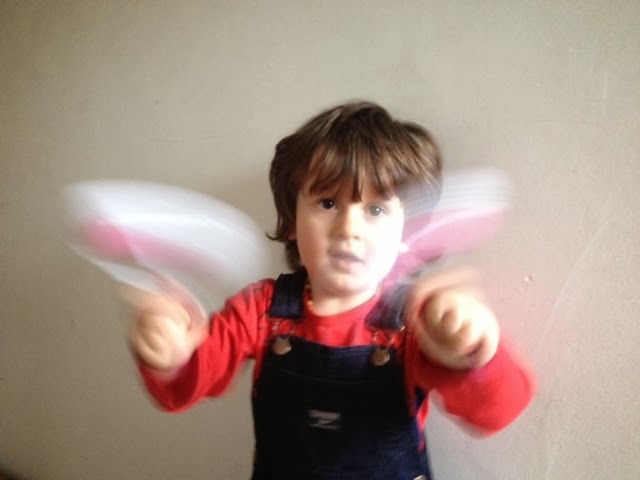 Opeie had been dancing around the lounge to Katy perry and the Ramones this morning (eclectic taste just like his dad), we needed some instruments to compliment our moves so we searched the house for inspiration and got to it. 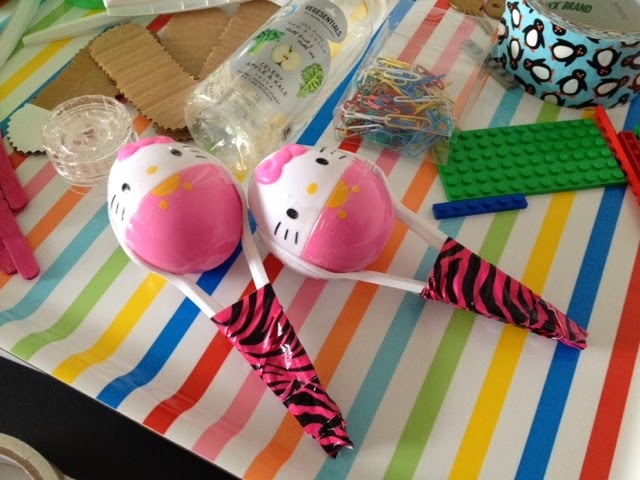 First up we decided to make some maracas. Julie who teaches the dance class loves to get hers out and shake them about so we wanted some too. 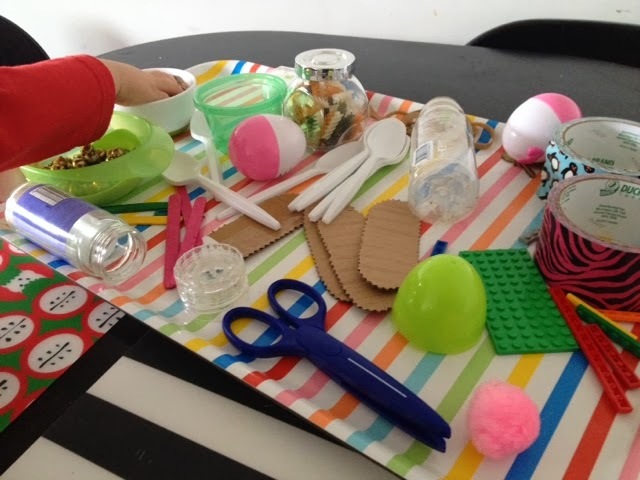 Opeie loves toy surprise eggs (which I have written about before), so we have ended up with a box of empty plastic eggs perfect for a good craft session. 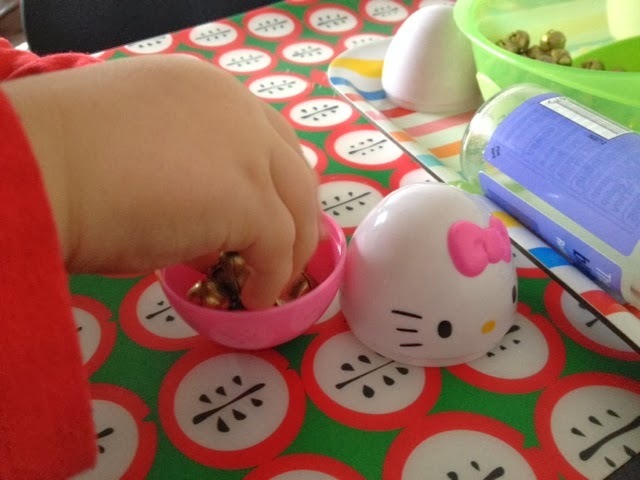 Opeie chose to fill his with small bells and I chose lentils. Next up was mini castanets. 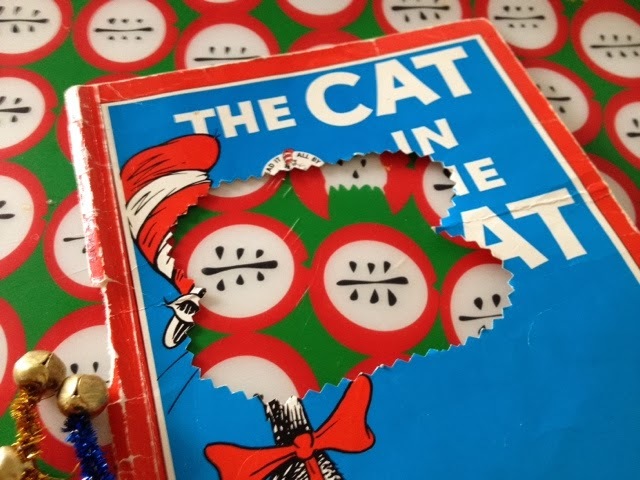 I've used old Dr Seuss books that we have multiples of for many craft ideas we've had (remember the bunting?). I tend to use the inner pages but get left with the covers, so We doubled them up with a fold for extra strength and cut out an oblong shape. 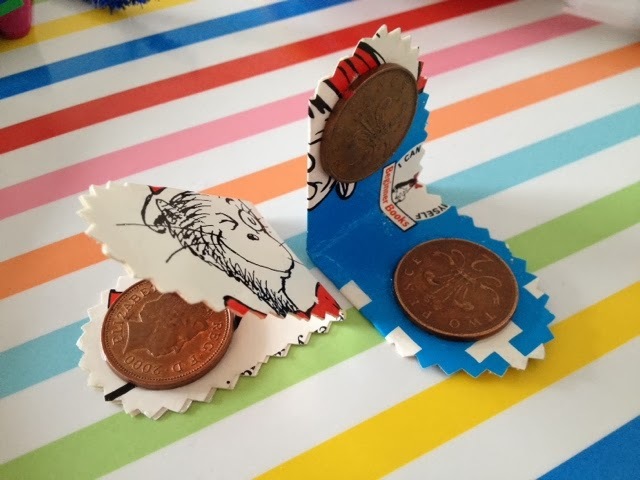 We then folded it again and glued in a 2p piece to each inside fold. Simple yet very effective Cat in the Hat castanets. I'm quite sure all of us have got at least one 'messy drawer in the house. Since moving in to this house we've had a draw in the hall that is full of mini bells that jingle every time you try and get something out of it. 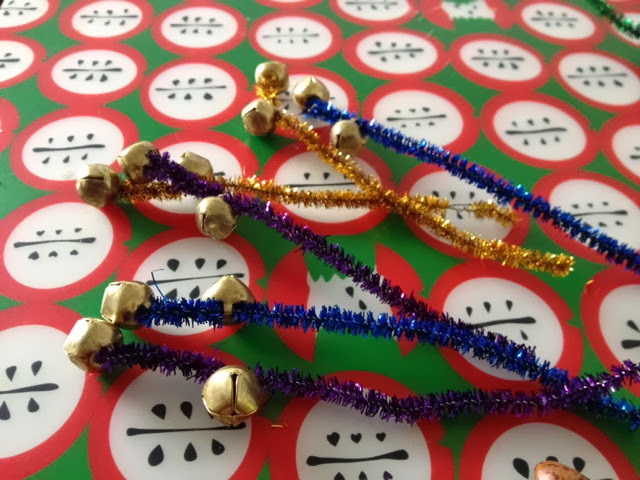 While we were sitting at the table I saw Opeie trying to thread bells onto a sparkly pipe cleaner so I helped him out and we came up with a jingle wand type instrument. Very creative on Opeie's part. 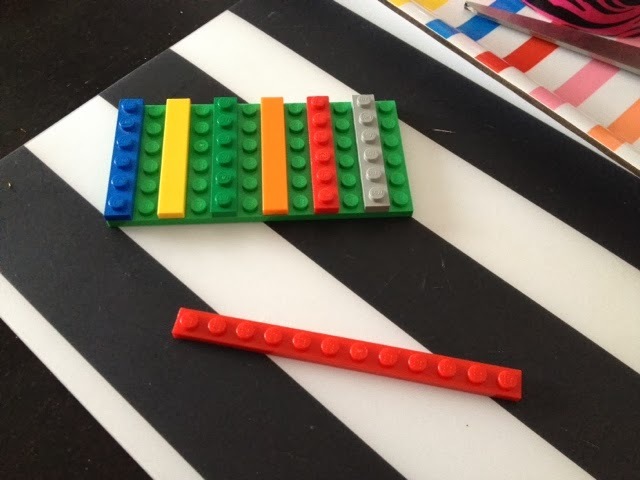 Opeie then stared playing with some Lego pieces that were on the table so in keeping with our musical craft session we made a Lego scratch board for making skritchy scratchy sounds. And then it was time to make our musical masterpiece. We love dancing and singing and as soon as Mrs M and Seth are home we'll be making great music as a family.